Etsy caused quite a stir this August by switching the default sorting in search results to Relevancy instead of Most Recent. Etsy has attempted to help forlorn sellers with advice, videos and rule updates related to the change. The advice from Etsy is scattered over a dozen articles and hard to find, so I’ve attempted to gather it all in one place. Relevancy is one of the major goals of search. Think about the last time you did a Google search and got a bunch of nonsense that wasn’t what you wanted – it’s frustrating. I’m surprised that Etsy wasn’t using this as the default until now. Etsy’s own test lab shows that users prefer relevancy search 15 times more than recency – that’s a lot! 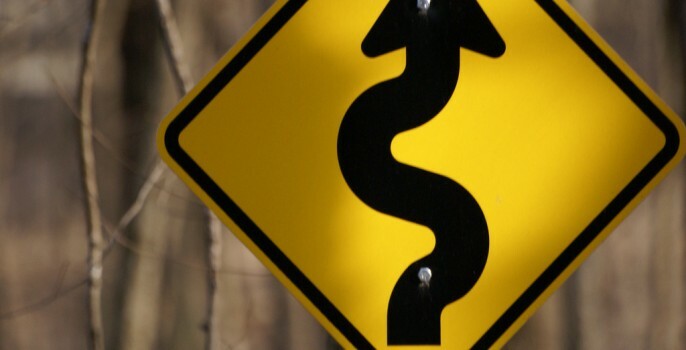 Love it or hate it, relevancy search isn’t going away. If your shop stats are dipping since the change, it’s time to get serious and learn to work with it. You might just find that you like it – shops now have more power to affect their search position than just relisting. Etsy has introduced a search feature for relevancy that gives word pairs a tremendous amount of weight. 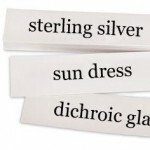 Word pairs are phrases of more than one word that people use to search – think “silver necklace” or “beaded napkin rings”. Items that match the searched phrase exactly are given priority and displayed above other search results. Exact matches in both the title and tags boosts an item even higher. The word pairs are scored much better if the match is exact, but it doesn’t have to be. A search for “red desk” will favor a title of “Classic Red Desk”, but might also show “Red Sox Desk Set” or “Red Tulip Desk Lamp” further down in the search results. Titles are king with good reason – besides the picture, they’re the best source of information customers have about your item in search results. Customers searching for “red desk” expect to see the words “red” and “desk” in the search results – otherwise the search seems broken. Tags and descriptions don’t appear in search results – and the listing date only shows if you purposefully choose the list view. Etsy weighs the position of word pairs in your title. In our “red desk” example, an item with the title “Classic Red Desk” will be favored more than “Shabby Chic Primitive Antique Red Desk”, since the word pair appeared earlier in the title for the first item. Hindsight is 20/20 – if the customer had searched for “shabby chic desk” the latter item would have been positioned more prominently. Most important is to use the best phrases for your item in the beginning of your title. How do you determine the best phrases? Etsy Shop Stats to the rescue! Log in to Etsy and go to Your Account > Shop Stats. This page will show you all sorts of interesting things about the people who found your shop – most importantly, the Top Keywords section will give you the best phrases for your titles and tags. Another great source for keywords is the Etsy search box itself. Start typing a phrase into the Etsy search and you’ll see suggested search terms pop down. These suggestions are popular search terms from real users. Try a few combinations that relate to your item and see what pops up! You may use a short descriptive phrase as a tag if it accurately describes your item (for example: “sterling silver,” “messenger bag,” “steampunk cufflinks”). We’ve already covered “descriptive phrases” – also known as word pairs – that you’ll absolutely want to put in your tags. If you can manage to get a commonly-searched word pair in both your title and your tags, you’ll be ahead of the curve. Category pages are still sorted by Most Recent. Customers that navigate to categories like Coffee Tables will see the most recently renewed or created items. The Etsy home page still has a Recently Listed Items section. It’s the easiest way to get on the Etsy home page – although if you blink, you might miss it. Broad search queries – searches that return more than 100,000 results – will use recency to sort the top matches. Etsy’s example is a search for “dress” that returns nearly 180,000 results – “jewelry” returns over 2 million. In these hotly-contested areas where so many items match exactly, recency will still put you on the top. Searches – while defaulting to Relevancy for sorting, there is also a prominently-featured strip along the top of each search showing Recently Listing items that match the search. There are 4 items showing, but 40 total if you page through with the arrow buttons. Naturally, the Most Recent sort option is still available on searches even though it’s no longer the default. Even searches that aren’t broad enough to hit the 100,000 mark seem to factor in recency. Switch to the list view in a search and you’ll see that even though some items are a few weeks or months old, there’s no real dinosaurs hanging around at the top of search results. Descriptions – although Google scans descriptions, so these should still be written with SEO in mind. Tag order – though Etsy recommends having the most descriptive tags first, since it may someday matter. Item location (even for heavy items). Number of listings in your shop. Attributes – for now. Etsy encourages sellers to fill out the attributes, as they are being given a serious look for inclusion in relevancy search in the near future. Punctuation in titles – this is automatically stripped out for search purposes. Pluralization – titles and tags are stemmed before indexing, so having both “earring” and “earrings” in your tags is not necessary, and verbs like “beaded” will also match “bead” in a search. As Gregg Donovan of the Etsy search team put it, “search is never done”. The team will be looking for ways to improve relevancy and fine-tune results. In the meantime, Etsy has given sellers a great tool with Shop Stats and lots of information to digest about relevancy search. Cover image by Daniel McDermott on Flickr. When it comes to listing my items I must admit that my imagination goes out of the window. Think I have used it all up whilst I was creating, so thanks for the tips and info. Thanks for the information. I have a bad habit of listing items with the same format and using plurals in tags. Time to tweak lol. Gosh, I wish I had found this sooner! I’ve been doing tags all wrong and wasting so many with pluralized versions. I am going to have to completely redo all of my listings now, but it sounds like it will be worth it. This probably explains why many of my items have not received as many views as I expected! I wish you would write a book…Handmade Marketplace was helpful but you are way better than it was! Finally someone summed it up in a way that I can read and understand all the way without givin’ up or following asleep. I’ll share your article with some friends, it’s very clear and useful. Etsyians frequently change their titles and tags. This will not lower your position in search results. What is true is that changing your shop sections frequently may affect your search engine placement on Google. You can read the full article on this topic at: How Do I Improve My Shop’s SEO. Great article. I had no idea about these changes! Seems before we were encouraged to “make up a story” to suit each item which now seems like it would put each item at a disadvantage in the title. Thanks. I know it has taken me a while to adjust to the changes. I do think a story is still worth telling in the description just make sure to repeat the keyword(s) you used in your title early in the description. Thank you! I have had sooo many ?’s about tags and you answered quite a few of them. Who would put the IT guys in charge of telling the public how the changes effect them anyway? Many of the sellers on etsy are not techies (me included). You did an awesome job at explaining what is going on! Thank you! Plugging in girls dress halloween in a handmade search and then narrowing search in the children’s catagory, I found that it produced a hat, ribbon bow and skirt in the showcase. The hat was not titled with girls, dress or halloween in the title. The ribbon bow did have girl and halloween in the title but did not have dress. The skirt did not have any of the search terms in the title at all and in fact was just titled “Booo”. The item that I had just relisted had halloween, girls and dress in the title was in the middle of page, under items that had been listed days earlier. Etsy racked in a lot of fees from the relisters, I wonder when they that will start hitting their bottom line. The new broken search is already hitting my bottom line! Hi kl, I was curious to see such strange results. The girls dress halloween relevancy search looks normal to me. Do you have a link to the errant search? The search index takes a few hours to refresh if you change titles and tags – maybe that is the culprit. Good to know that it takes a couple of hours to cycle! I did not do a screen capture but will in the future. I have started to report items out of category to etsy. Great Article. I had no idea about the changes or the shop stats. Thank you for the important information and advice. Wow–super article! If I need to recommend anyone to an article about the search, this is the place I’ll send them. That’s great, off to follow your advice. Thanks! Great article. You have definitely summed it up and made the changes a lot easier to understand, thanks much.